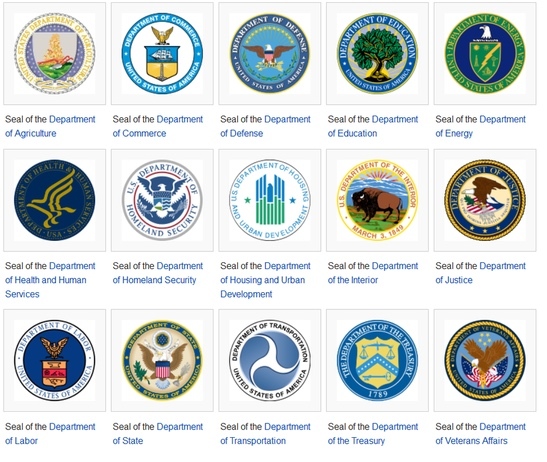 So apparently most of the U.S. government departments have been using Department of ..., like Department of Defense, Department of Homeland Security. But it looks like there's a weird exception, Department of Education (ED). As we see it also use the pattern of Department of ... but its abbreviation is meaning Education Department. Why is it different from others? Why isn't ED abbreviated as DOE? It's likely because there are two departments starting with E, the other being the Department of Energy. When the Department of Education was formed in 1979, the Department of Energy already existed. So the abbreviation DoE was already established for the Department of Energy. To avoid ambiguity, a different abbreviation has to be used for the Department of Education. Informally, the names, abbreviations, and word order are arbitrary. For example, the Department of Justice is the DoJ, but is often called the Justice Department. Homeland Security is DHS, and Health and Human Services is HHS. The Treasury Department and the State Department don't have abbreviations. They're just called "Treasury" and "State" respectively, since DoT is the Transportation Department, and State is short enough on its own. The names are really just chosen to avoid ambiguity and aren't considered "official" in the legal sense.